When art is serious business for you, then experimenting with different mediums becomes important too. Even the digital medium is now open to being experimented upon with the advent of the drawing tablets. The drawing tablet is also known as a graphics tablet, a pen tablet or simply a digitizer. It is a hardware input device that is primarily used by digital artists, art directors, animators, and serious art students. These drawing tablets usually have a flat hard plastic and a touch-sensitive drawing surface that transfers stylus or mouse movements to a monitor or an inbuilt screen. It can be attached to the computer and the stylus is usually connected to the tablet. The tablets capture the image as data which is stored as a file or document and works by plugging it into a computer via a USB port. 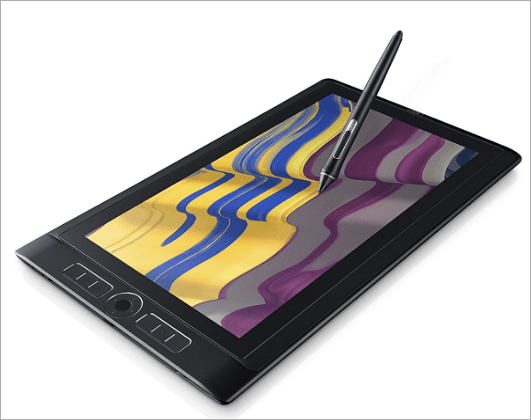 When it comes to choosing the right drawing tablet there are many criteria that will matter. These include ease, compatibility with major drawing apps, enhanced creativity options, and other more advanced features. 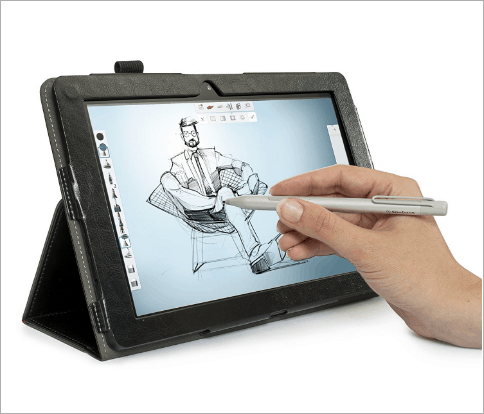 We have put together a list of the best drawing tablets that will prove to be worth the price they demand and give your artistic adventure a new dimension. The Huion Inspiroy Graphic drawing tablet comes with a sizeable drawing area in the 10-by-6.25 inch device. It has a high battery capacity that does not need frequent recharges. The design is slim with the ultra-narrow border that is a convenient fit in your hands. It has 8192 levels of pressure sensitivity and 6 customizable buttons to create time-saving shortcuts. The drawing area and touch panel is well designed and separated so that any accidental touch damage is avoided. The tab is compatible with Mac and PC Windows 7 (and higher versions for both). Moreover, you can set it up for right or left-handed use. Compatibility: Mac 10.10 or higher, Windows 7 to 10. 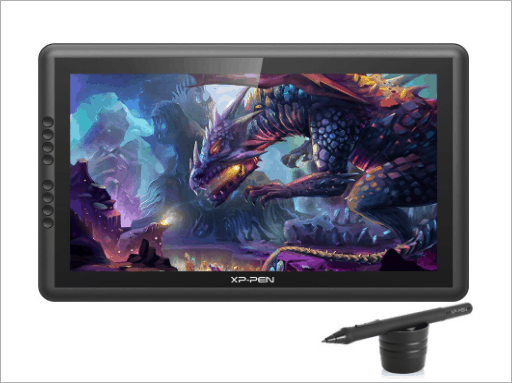 XP-Pen Artist16 is a pro drawing tablet that hosts a bunch of great features. It lets you turn your imagination into creativity without any barrier. You can simply paint it, sketch it, or even design it. The 8 express keys for the shortcuts and 2048 levels pressure sensitivity gives you a wonderful viewing experience. You can work on Windows or Mac, as it supports both the platforms. In addition, it is compatible with other popular creative software including Adobe Photoshop and Corel Painter. Best suited for professionals, Wacom Mobile Studio Pro 13 Tablet is one of the popular and advanced drawing tools that has amazing computing power and graphics options. The superfine display quality comes with a high-resolution of 2560 x 1440. 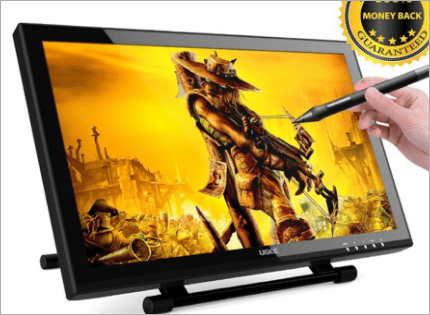 It has multi-touch support that gives an effective drawing experience with various magics. This pro drawing tablet has a powerful pen performance with 4x accuracy and pressure sensitivity with virtual lag-free tracking. The one-touch shortcuts increase your productivity making Wacom pro 13 tablets one of the best options for a drawing tablet. Compatibility: It runs Windows 10 as it’s OS and with the Wacom link adapter it can be connected to a Windows or Mac PC for added computing functions. 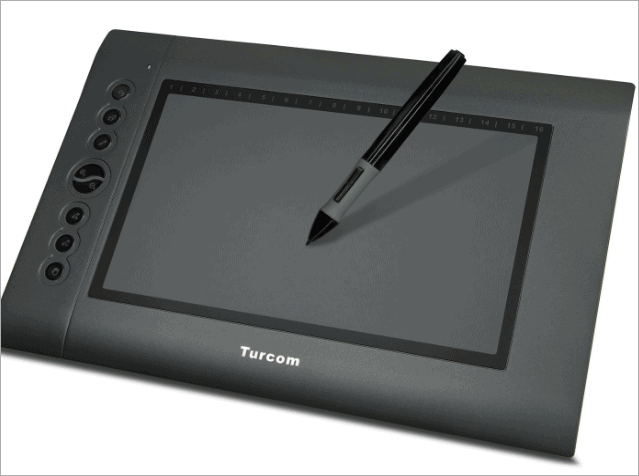 If you are just starting out as an artist Turcom is one of the best cheap drawing tablets on the market. With Turcom Graphic Drawing tablet you can start experimenting simply. Most budding artists and art students will prefer this drawing tablet as it allows you to craft anything you want. These include things like Manga, Anime, and Photo editing with Photoshop. In spite of being low-cost, it still offers you the compatibility with Corel Painter, CorelDraw, Adobe Photoshop, Adobe Illustrator, Adobe Fireworks, Macromedia Flash, and ComicStudio too. The pen is pressure sensitive to 2,048 levels. Compatibility: Windows and Mac, MacBook Pro computers. Windows 7/Windows 8/Windows 8.1/Windows 10 and Mac OS 10.8.0/10.10.0 or higher. 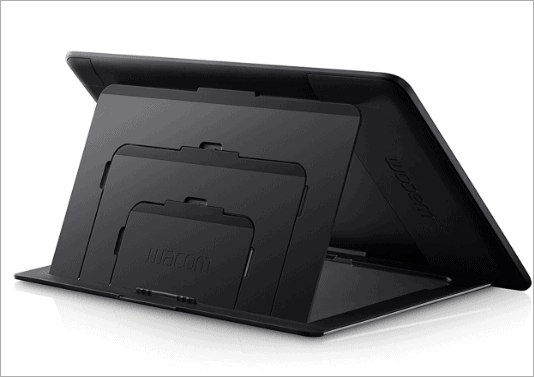 With Wacom Cintiq Drawing Tablet you can take your natural experience to screen literally. The design is sleek, lightweight and provides the most convenient drawing time. The tilt-sensitive Wacom Pen works all-in-one as pencils, markers, and brushes and lets you take all your multiple drawing brushes creations to the screen. The wide view and the 13.3″ display of 1920 x 1080 resolution show you the flawlessness of your creative art. If you have any trouble using any keys or features, you may refer the user manual that comes with it. Compatibility: Windows 8 (32- and 64-bit), Windows 7, Vista SP1, and XP SP3, Mac OSX 10.6.8 or later. 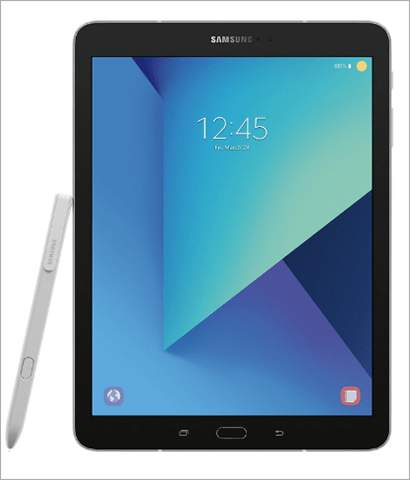 With the Samsung Galaxy Tab S3 comes with the Samsung S Pen Stylus and is a very compact size that is comfortable to hold. It has a super AMOLED display that allows you to view the fine details of the picture with vividness and deep contrast. The wonderful S Pen is so precise and pressures responsive that whatever you create, translate and explore – it will deliver it for you. Also, the pen never needs to be charged. The keyboard is feather light and you can switch from touch to type seamlessly. On a single charge, it can play a video of up to 12 hours. It has a 13MP rear camera and the 5MP front one. The Samsung Galaxy Tab S3 makes a good score on your list if you are specifically looking for some Android drawing tablet. Apple has delivered an amazing drawing tablet popularly known as iPad Pro. The 10.5″ Multi-touch retina and 2224 x 1668 screen resolution give a crystal clear and great HD viewing experience. Along with your artistic skills it can be used for other multiple purposes too. For example, you can Facetime with your friends and family with its 7 MP front camera and 12 MP rear. It provides you the 64GB of storage. The retina display is 20% larger than its 9.7″ model, and the border has been reduced to 40% resulting in the feather-light weight of the tablet. 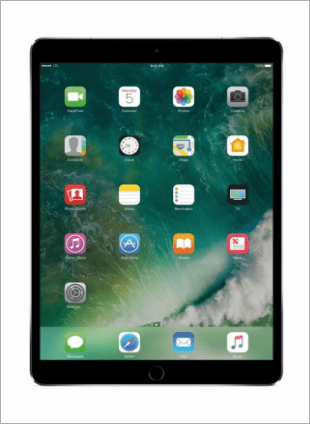 The iPad Pro with iOS 10 installed that has proactive assistance along with powerful search and enhanced Siri features. Simbans PicassoTab is a good pick if you are looking for a cheap drawing tablet packed with some solid features. The 10-inch tablet has the IPS HD screen resolution that gives a good picture view. In addition, it comes with an active pen which is not sensitive to pressure. It comes with per installed Autodesk Sketchbook app where you can take notes and draw pictures making it the most affordable drawing tablet with a pen. If you feel the screen is inadequate, you can connect the tablet to a big TV screen via a micro HDMI port. You can also connect it to your home Wi-Fi network and use your tablet anywhere in the house. The Wacom Intuos pro paper Edition lets you draw in ink on your preferred paper with its 0.4mm Fine-tip Pen. Your drawing will be captured in real-time by the tablet which you can later edit as needed. 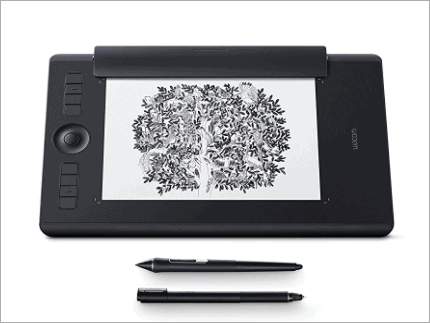 It has the paper-to-digital ability that allows you to capture your pen-on-paper sketches into the editable version. After you finish digital editing, you can export it as raster or vector files. 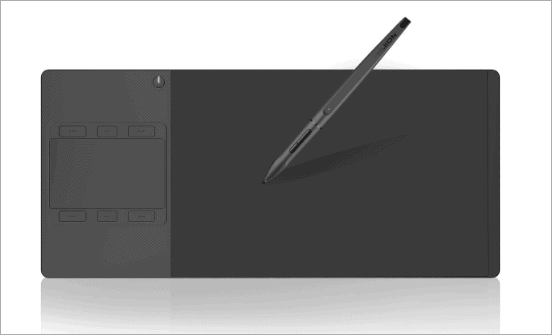 The Wacom tablet comes with Wacom Pro Pen 2 to draw and has a detachable paper clip. This clip holds the paper on the top of your tablet while you sketch. It also has a pressure-sensitive Wacom Fine-tip pen. To work with pen-paper style, simply put the paper on the tablet holding it in place with the clip and draw on it with Pro Pen 2. The Ugee Drawing Monitor Graphics Tablet comes with a rechargeable pen with 2048 levels of pressure sensitivity. It features 1910b drawing monitor that gives you the best user experience. The viewing is also great as it is with a good degree of brightness and contrast. It also has an adjustable stand with anti-slip rubber cover so that you can set it according to your work style from any angle. It works with Adobe Photoshop, Photoshop CC, SAI, Illustrator, and much more. Take your imagination to the next level with Ugee graphics drawing tablet. Compatibility: Windows XP/Vista/7/8/8.1/10 and Mac OS latest version. Although Yiynova MVP22U(V3) is not very popular when compared to brands like Wacom, it can give tough competition to many other drawing tablets. It has all the advanced features that an artist will look for. The 4000 LPI resolution and tracking speed of 200 PPS makes it stand head to head with high-priced tablets. The tablet provides almost the same functions and features and is likely to suit your budget and requirements. The drawing area of 476.64 x 268.11 mm lets you craft your art and be viewed on a huge screen with the fine details magnified. Compatibility: Windows 7/8/8.1/10, Mac 10.8.x and later, Linux. 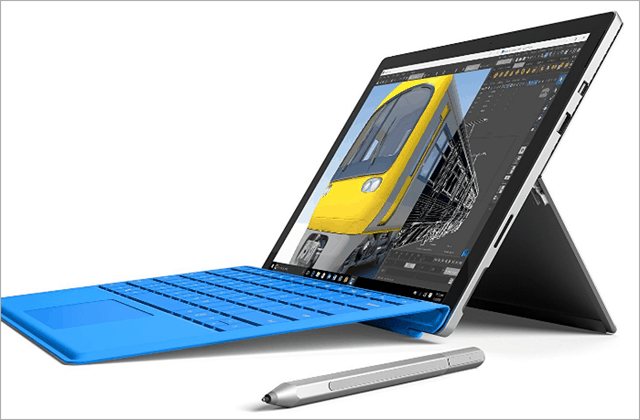 The Microsoft Surface Pro 4 is designed keeping in mind the artists and students as well. It is the latest version of tablets by Microsoft that lets you enhance your creativity. The design is lighter than ever before with the 12.3″ PixelSense screen that has high contrast and low glare. This is meant to take care of your eyes if you work for long hours. You can switch from tablet to laptop with the multi-position kickstand and keyboard. At this price, Microsoft is delivering the great finesse capabilities to draw, create magic and explore the beauty of things for the artist. These are some of the best drawing tablets that offer a good price and come with a host of advanced features. Now, you can begin to transform your creative art into a flawless and incredible piece of design.